The Gamers Ball is coming to the Game Developers Conference in San Francisco! The Gamers Ball is about to "Change The Game" for parties this round. Legendary B2B party creator/marketer Darren Blatt will be throwing the biggest, baddest party in San Francisco during the Game Developers Conference. With a winning formula of huge state of the art venue, legendary artists performing, celebrity sightings, incredible DJ's, beautiful Go Go dancers and the industry top players all blowing off steam and networking. Over the last 15 years our B2B events average over 2,000 guests and we expect just as many this year. This will be THE event of the year and you won't want to miss this star studded networking event. We have amazing sponsorship deals that will get our sponsors seen on the biggest stage. With our combination of industry marketing, website exposure, targeted industry newsletter from our RSVP list and big screens in the club our guests will know who provided this memorable event. If you're interested in securing your sponsorship, please contact us for package details. For more information please contact darren@marketersball.com . 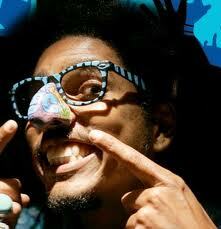 featuring Humpty Hump & DJ Fuze!